For years, I've been mainly working on Windows and was very comfortable with the Windows Explorer functionality. When I made a switch to my new Macbook Pro, the Finder (Mac alternative to Windows Explorer) took some time to get used to. However, I noticed a few fundamental features missing on the default Mac OS X Finder which made it very frustrating at times. This was the case until I checked out TotalFinder. The following are some features of TotalFinder that will make your transition from Windows to Mac much easier. As such, it is an essential replacement for the existing Finder. The 14 day trial gives you plenty of time to try out these new features as well. Similar to your browser, the new Tab feature allows you to have multiple tabs open. Features of these tabs are similar to your browser as well. You can rearrange them, switch between them quickly, and detach them by using dragging the tab outside the dialog box. Here's a screen-shot of the tabbed feature in TotalFinder. Unlike Windows Explorer, the annoying feature of the default Finder is that it mixes folders and files. This feature allows you to keep your folders on top, followed by your files. It makes it behave similar to Windows Explorer. The last feature I want to discuss is very important for me. 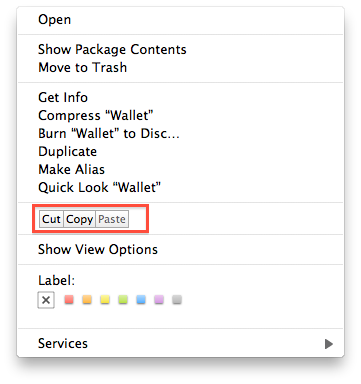 When I needed to organize my files and folders, I've always wondered why we can't cut and paste files on Mac OSX. On Windows, we had the option to cut your files, navigate to the desired folder and paste them. It simply moved the desired files without the need to use the terminal or to have another window open. TotalFinder solves this problem on a Mac by allowing users to cut and paste files in a similar way. This will also make your transition to a Mac much better.